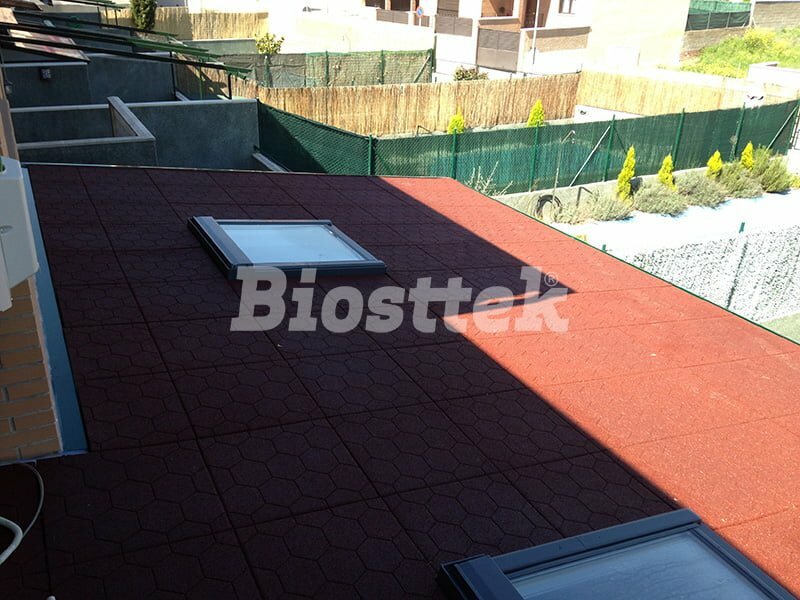 The self-supporting roofs are designed to gain useful meters of housing with total thermal and acoustic insulation. 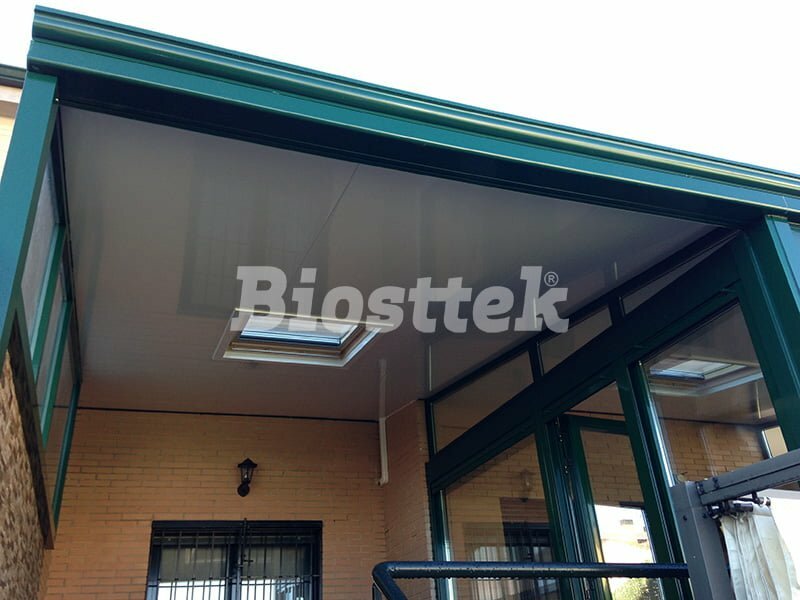 BIOSTTEK is the leading manufacturer of self-supporting roofs. It is the most recommended to cover spaces such as attics, patios, terraces or porches. All without the need for fasteners throughout its entire route. 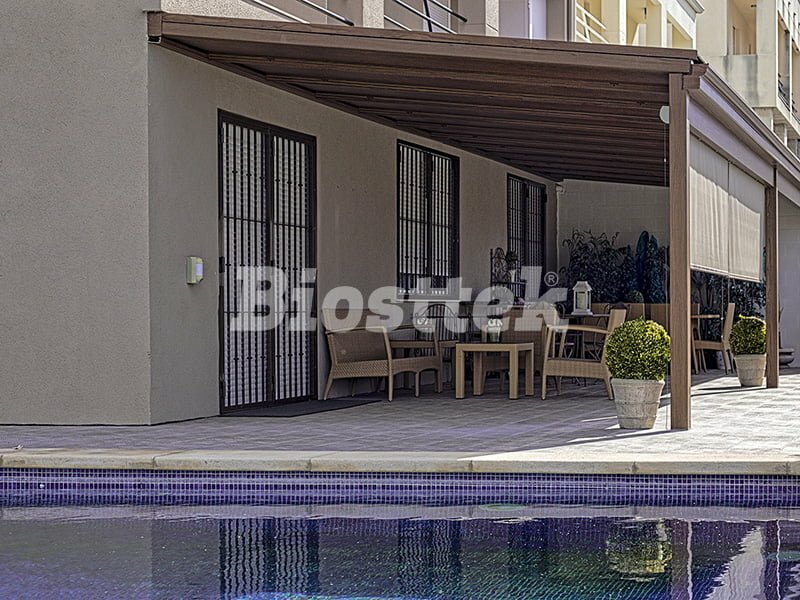 The self-supporting ceilings of BIOSTTEK have the advantage that they are highly customizable, adapting to the needs of each client. 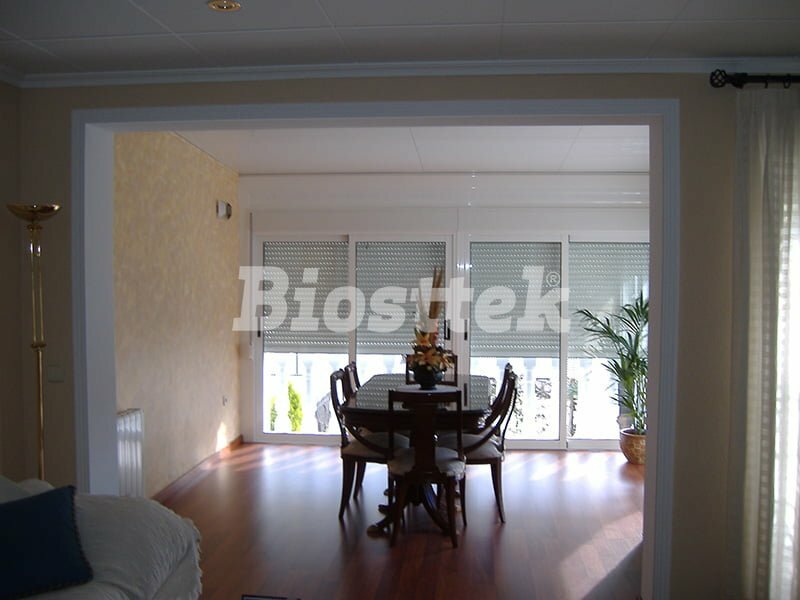 They are a very affordable solution, easy to install and maintenance-free. We offer perfect finishes so you can enjoy your terrace all year round. Get in touch with us, we will be happy to help you. Tongue and Groove paneling available in two thicknesses, 52mm and 82mm. 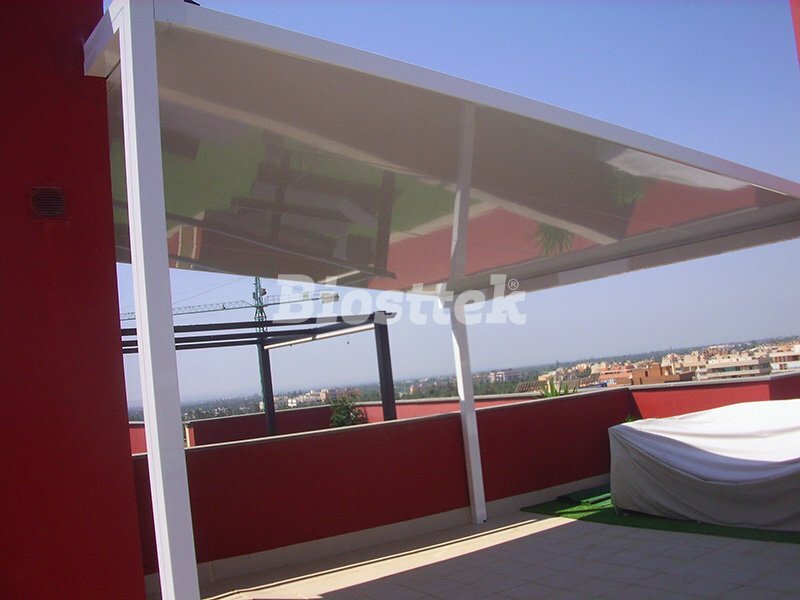 For roofs up to 6m depth. 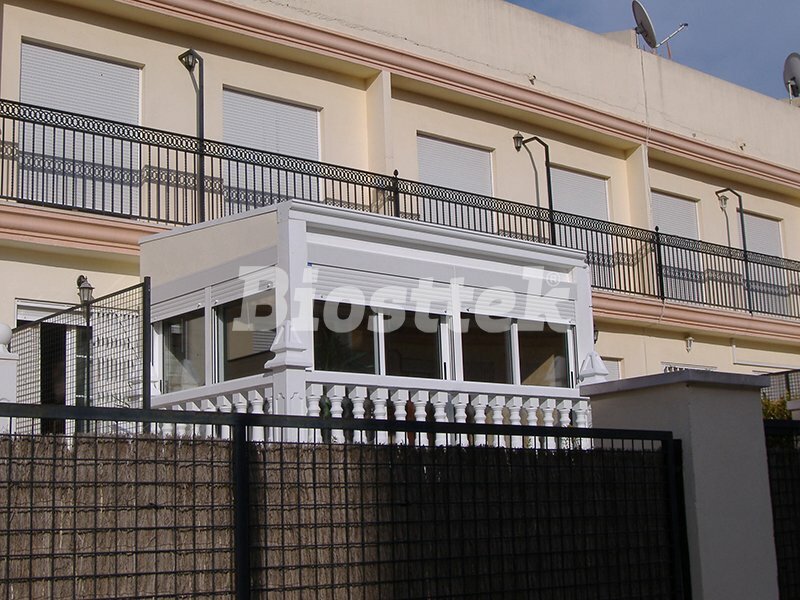 Optional upper acoustic roof tile with a ventilation chamber and acoustic absorber.